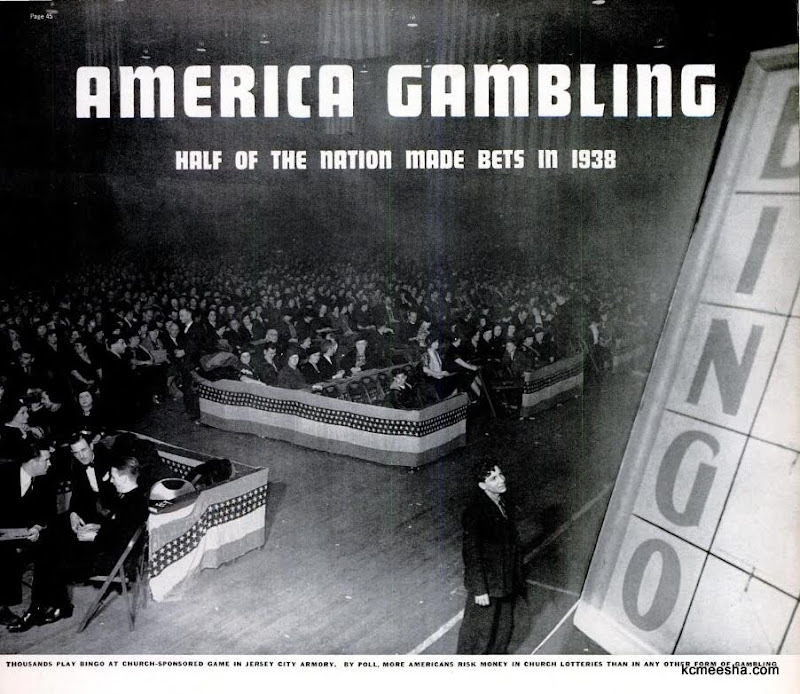 In 1939 Life Magazine published an article “America Gambling: Half of the nation made bets in 1938“. 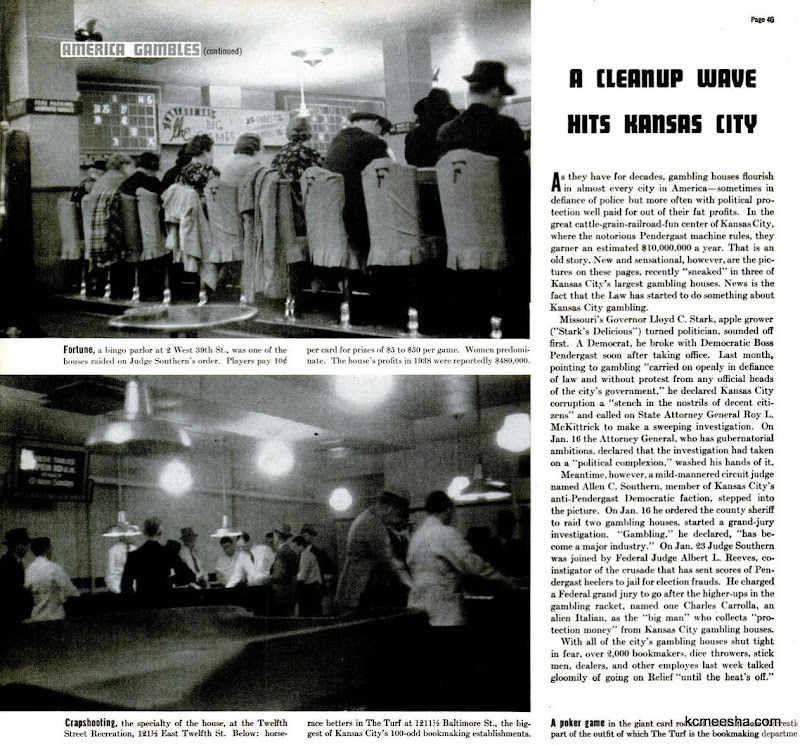 Kansas city was prominently featured as one of the most notorious gambling towns. Thousands play bingo at church-sponsored game at Jersey City Armory. By poll, more Americans risk money in church lotteries than any other form of gambling. Top: Fortune, a bingo parlor at 2 West 39th St.Was one of the houses raided on Judge Southern’s order. Players pay 10 cents per card for prizes of $5 to $50 per game. Women predominate. The house’s profits in 1938 were reportedly $480,000. Bottom: Crapshooting, the specialty of the house at the Twelfth Street Recreation, 121 1/2 E.12th St.
As they have for decades, gambling houses flourish in almost every city in America – sometimes in defiance of police but more often with political protection paid for out of their fat profits. In the great cattle-grain-railroad-fun center of Kansas City, where the notorious Pendergast machine rules, they garner an estimated 810,000,000 a year. That is an old story. New and sensational, however, are the pictures on these pages, recently “sneaked” in three of Kansas City’s largest gambling houses. News is the fact that the Law has started to do something about Kansas City gambling. Missouri’s Governor Lloyd C.Stark, apple grower (“Stark’s Delicious”) turned politician, sounded off first. A Democrat, he broke with Democratic Boss Pendergast soon after taking office. Last month, pointing to gambling “carried on openly in defiance of law and without protest from any official heads of the city’s government,” he declared Kansas City corruption a “stench in the nostrils of decent citizens” and called on State Attorney General Roy L.McKittrick to make a sweeping investigation. On Jan.16 the Attorney General, who has gubernatorial ambitions, declared that the investigation had taken on “political complexion”, washed his hands of it. Meantime, however, a mild-mannered circuit judge named Allen C.Southern, member of Kansas City’s anti-Pendergast Democratic faction, stepped into the picture. On Jan.16 he ordered the county sheriff to raid two gambling houses, started a grand-jury investigation. “Gambling,” he declared, “has become a major industry.” On Jan.23 Judge Southern was joined by Federal Judge Albert L.Reeves, co-instigator of the crusade that has sent scores of Pendergast heelers to jail for election frauds. He charged a Federal grand jury to go after the higher-up in the gambling racket, named one Charles Carrolla, an alien Italian, as the “big man” who collects “protection money” from Kansas City gambling houses. 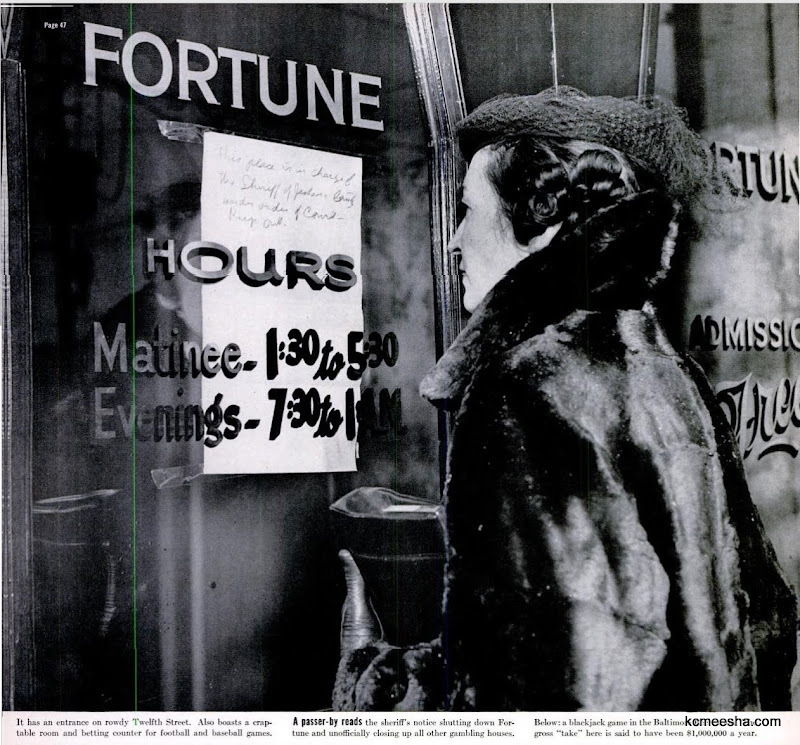 A passer-by reads sheriff’s notice shutting down Fortune and officially closing up all other gambling houses. 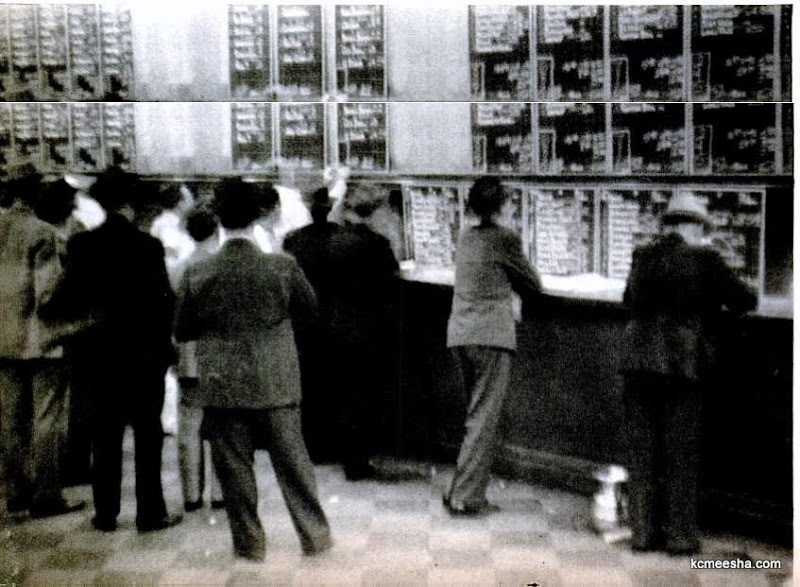 Horse-race bettors in the Turf, at 1211 1/2 Baltimore St., the biggest of Kansas City’s 100-odd bookmaking establishments. 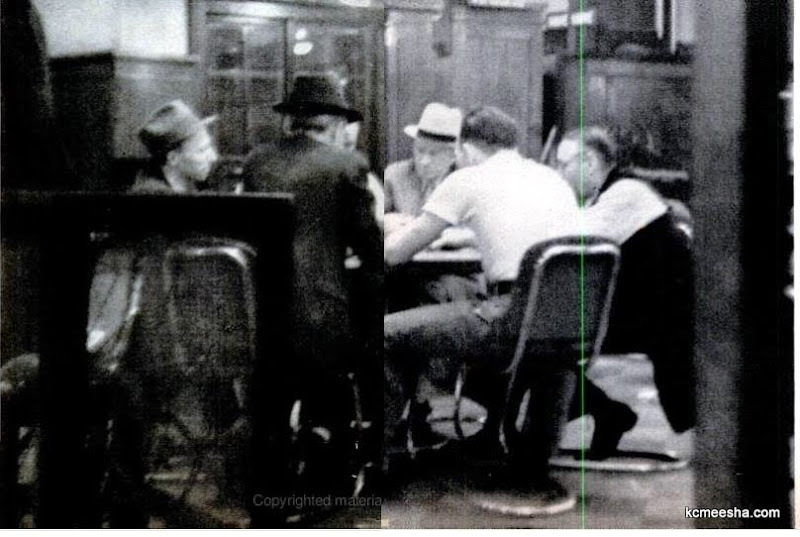 A poker game in the giant card room of Baltimore Recreation, part of the outfit of which the Turf is the bookmaking department. It has entrance on rowdy Twelfth Street. Also boasts a crap-table room and betting counter for football and baseball games.